This was one of those cards that went through about a million different looks before I hit upon one that actually worked! It wasn't originally supposed to follow this week's Cardpattern's sketch but somehow it went in that direction and I just ran with it! I'm pretty happy with how this turned out, even though it was completely unplanned. Ink - Versacolor "Cement", Versamagic "Midnight Black"
Gorgeous - always admire people who can make a white card (I always get them dirty before I get done!) 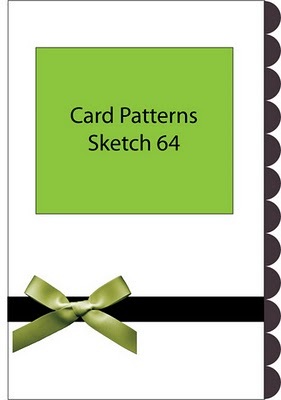 Thanks for playing at Card Patterns! LOVE love love this! So simple and elegant. The b&w combo is perfect.